There is nothing liked being surrounded by your loved ones and Mariam Diab Ali looked stunningly happy in her ball gown dress with a sweetheart neckline, and surrounded by her bridesmaids. Congratulations to the bride! 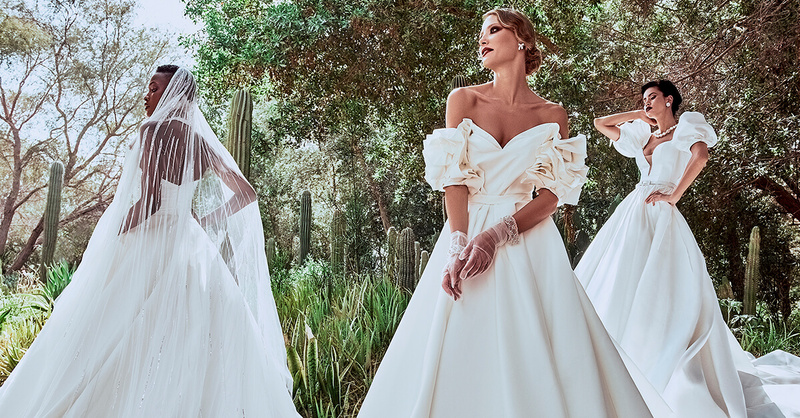 About ESPOSA ESPOSA is a bridal boutique that is all about luxury brands offering every bride-to-be a one-stop store to find and shop her wedding look including her dream gown, the perfect wedding shoes and the accessories that she needs. Our stores are located in Lebanon (Dbayeh and Beirut downtown), Brazil (Sao Paulo) and UAE (Dubai and Abu Dhabi). Visit us online to find the most beautiful wedding dresses in Beirut, Sao Paulo, Dubai and Abu Dhabi.